If your mode of transport in Mumbai is the local trains, you would have noticed something over the past few years: there’s less desultory scrolling and Candy Crushing - and instead, people are on a steady diet of videos. But watching videos on portable devices that afforded a screen and sound output is nothing new — college students have been side-loading illegal movies and Friends episodes onto jailbroken iPods and Nokia E50s for years now. But it’s the demographic that is changing. Not to judge, but it’s unlikely that a 50-something uncle with a briefcase (attache, they call it?) would have the know-how or patience for operating a torrent and getting the file onto your phone (a process which seems to get surprisingly more painstaking each year). Nope. That uncle was on Amazon Prime Video. The teenager hopping on after college in Bandra is watching Narcos on Netflix. During the IPL, free of the shackles of data plans, the parsimony of ball-by-ball updates has been replaced with the joy of live video (albeit, low-res, we’re still in local trains). It’s no surprise that video has taken off in India: The difficulty of producing regional content in text, the Jio-fuelled crash in data prices, the low proportion of ‘private viewing screens’ have all led to an explosion of video consumption over the past few years: EY reported that Indians consumed 3.9GB/month in 2017, and that would become 18GB in five years. And now, with original programming coming from reputed companies, Indians are finding an easy jump from video on TV, to video on mobile — leapfrogging text content altogether. And while your grandfather asking “what’s streaming newly today?” might still be a while away, 2018 could very well turn out to be the inflection point for streaming in the country. Advertising highlights individual shows rather than platforms education: If you look at the advertising done by Amazon Prime Video, Hotstar, Netflix and alt-Balaji — things have all been centered around individual shows and properties: Comicstaan, Mowgli, Sacred Games, Bose and (for some reason) The Big Bang Theory all come to mind. This is a massive leap — meaning these platforms have decided that everyone knows what these platforms are about, and how they are differentiated from TV channels. And I say confidence because India is still a market with a relatively low internet penetration — and just advertising “The Marvelous Mrs Maisel’ without any explanation as to what the show is (just that you can see it on Amazon Prime Video), seems to reflect that the company knows its demographic and is sticking to it, rather than waste time and effort trying to educate new people about the benefits of streaming (which is more likely to come through word-of-mouth anyway). The amount of money earmarked for original Indian content: Nothing shows the confidence that these platforms place in the Indian market than the sheer amount of money invested for this. 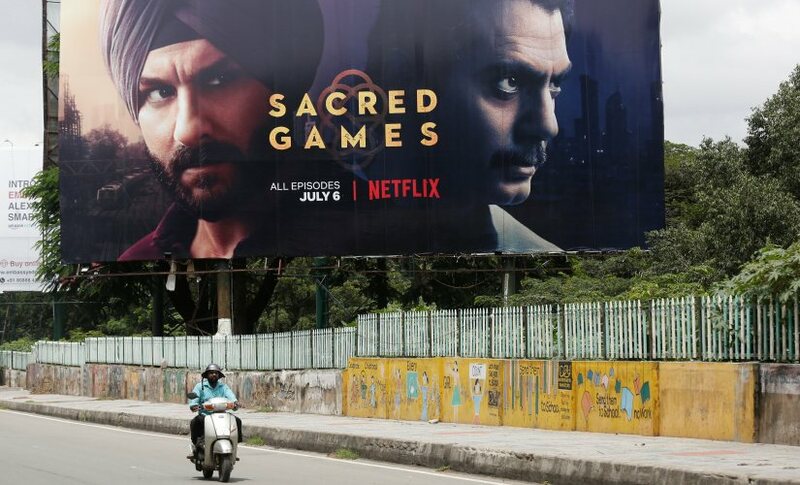 It's reported that Netflix has Rs 600 crores per year, and Amazon Prime Video Rs 2,230 crores over the next few years — both staggering amounts given that a few years ago, there were rumours that Netflix would shut shop after not being able to hit subscription targets. It’s a whole new ball game right now — Statista says 70 percent of Indians online subscribe to at least one video-streaming app. And proof is on your screen — from drama (Saif Ali-Khan-starring Sacred Games, Inside Edge) to comedy (stand-up specials, Comicstaan) and shows written by some of India’s biggest comedians (Laakhon Mein Ek by Biswa Kalyan Rath, Shaitaan Haveli by Varun Thakur, to name a couple) and most of them benefit from positive online ratings from audiences hungry for quality Indian content that doesn’t involve scheming mothers-in-law. There is no sign of this abating anytime soon. What is also encouraging is that the era of ‘snacking’ seems to be over and people are invested behind long-form content: the big daddy of streaming — YouTube — actively encourages 20 minute plus videos, and India’s leading streamer, Hotstar, reports 96 percent of its audience watches content longer than 20 minutes. All this leads to more confidence for producers to make quality content as audiences are clearly moving out of the ‘goldfish’ mentality. … And acceptance from ‘traditional’ arms of the industry: Once probably thought to be too niche to matter, streaming is clearly inescapable, especially now that “putting series online” now has the legitimacy of Bollywood actors. 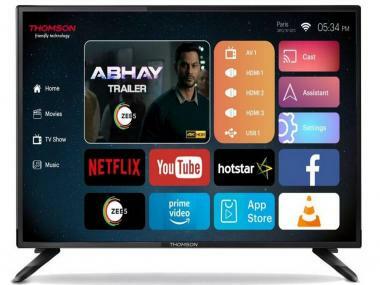 Streaming platforms from Viacom18, Balaji Telefilms and Zee TV have all launched, and it’s likely more are on their way: Albeit in a late-to-the-party fashion like your regional cooperative bank thinking it’s trendy to launch a phone app in 2018. Globally, originals from these platforms are raking in awards and it’s quite plausible that in a year or two, we will be seeing the trend carry forward in India with “best actor/actress in a web-series” awards added to the legacy ones. And, finally, while a decade ago, watching sports on ‘the internet’ usually meant a shady, “singles-in-your-area”— doused stream, today there are 200+ million people watching the IPL on Hotstar and 70 million watched the FIFA World Cup on SonyLIV. Tie-ups with mobile and DTH carriers: When Airtel advertises its premium offering stating you get months of streaming for free — it’s symbolic of both the importance of streaming and the impact of upstart-turned-behemoth Jio. It’s taken a while, but telecom companies have finally realised there’s no point whining about the good ol’ days when people used to call and text, and have gotten on board the streaming train: Vodafone Red has partnerships with Amazon Prime, Airtel’s inked a deal with Netflix, and Jio… Who knows? In a more telling move, DTH platforms who risk extinction are throwing one last hat into the ring with hybrid Set-Top Boxes that allows people to watch content from streaming platforms as well, such as Airtel’s Internet TV Box. In the age of on-demand viewing, where the only ‘appointment viewing’ tends to be news and live sports (both of which have gone online in a big way), it’s hard to see cable cutters sticking with traditional DTH for too much longer. No more jhingalala for a while. And alas, lawmakers taking note: Or maybe not. The Ministry of Information and Broadcasting said it’s not looking to censor content from online platforms. Some platforms have decided to self-censor, then at least Netflix denied saying so. But there’s no smoke without fire, and just the fact that our lawmakers know what these platforms are is commendable to begin with. In an election year where the ruling government will be looking to score quick points, online censorship is an easy way to trickle-down sanskaar: Which will provide great publicity and, one assumes, positive mileage among its core base at the expense of people who wouldn’t have voted for the party anyway (one assumes the average consumer of a Biswa stand-up special is not a cow-loony, at any rate). All this means that these platforms come even more in the public eye. To be sure, challenges still exist for the industry. Password-sharing is rampant, even among the well-off. Moving beyond the easy-to-convert crowd who didn’t need much education about these platforms will be tough. Subscription rates are still among the lowest in the world. 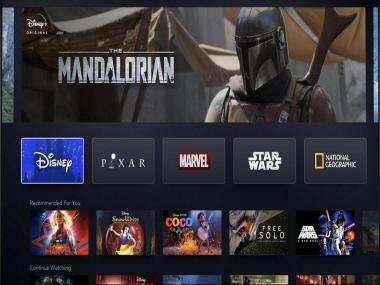 But the overall picture looks quite sunny and the industry is poised to grow at close to 18 percent year-on-year: One can’t help but feeling about streaming now, as we did back in the ‘app cashback’ heyday. All of this means — more amazing content for you and me. And, importantly, for your parents, and that uncle in the local train. Sit back and microwave that popcorn.